· 100%charge of total nights if reservation cancelled 03 days prior to arrival dateor in case of no-show. · 70%charge of the first night if reservation cancelled 05 days prior to arrivaldate. · 50%charge of the first night if reservation cancelled from cut off dateto 05 days prior to arrival date. Ha Long New Day is a 3-star international standard hotel, located in the heart of Bai Chay Tourist Area, on the shores of majestic Ha Long Bay and just 4km to the largest Amusement Park in Asia - Sun World Ha Long Complex. 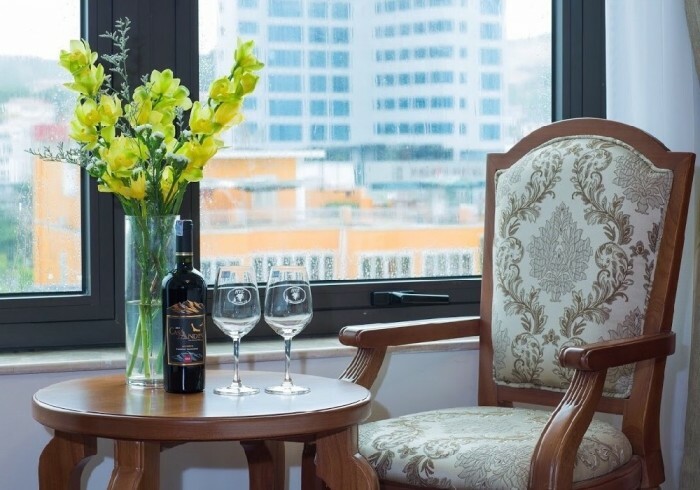 Designed in a modern style and convenient for tourist, Ha Long New Day Hotel offers 50 rooms from standard to upscale accommodations with varied culinary styles, professional service and modern facilities, promising to bring the excellent service experience, meet the need of all visitors.